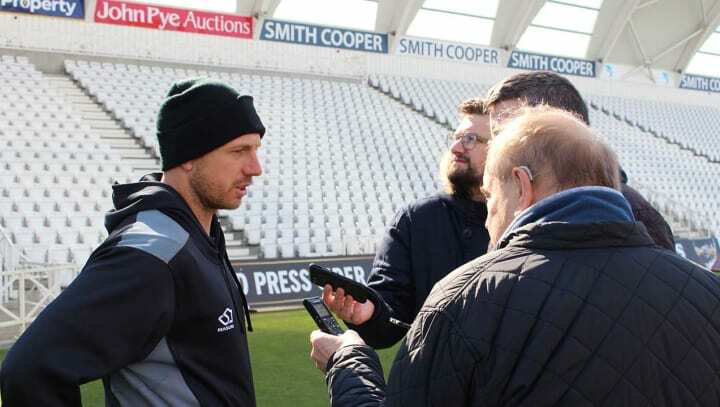 James Pattinson is back at Trent Bridge feeling fit, strong and raring to go ahead of a prospective debut against Lancashire Lightning on Friday. The Australian paceman enjoyed a successful stint with Nottinghamshire in 2017 and has been yearning for a return ever since. Pattinson has undergone major back surgery during the intervening two years, with lethal late season performances for Victoria in the Sheffield Shield confirmation that the paceman dubbed the Dandenong Destroyer is back to his best. “My back is feeling as good as it ever has,” he says. “Sitting around on long flights in the past has been hard work, but now it feels good. “It’s been a bit of a whirlwind two years having back surgery and making my comeback. There’s been a lot happening over the last two years. “I left on a good note last time I was with Notts so hopefully we can have some more enjoyable times again. “It feels like a lot’s happened. I was catching a taxi from the airport and I sort of felt like sometimes I’d never get back here. “It’s fantastic to come back to a club where I loved playing and had some success with a fantastic bunch of guys. “It was always a goal of mine to get back and enjoy those moments again – to play some good cricket in some good grounds and play in some great, well followed competitions. With Nottinghamshire’s playing roster having undergone something of a transition since 2017, Pattinson arrives in a Trent Bridge changing room featuring a number of new faces. The 28-year-old says he’s been impressed with the club’s recruitment and – having concluded his previous stint in England with a Royal London One-Day Cup Final triumph - is hopeful of enjoying more success on UK shores in 2019. “There’s some good young players and there’s a good feeling in the group to come into,” he said. “We’ve got some really good new players in and some really good older players who were here last time - so it’s great to be around. “I thoroughly enjoyed my time here last time so hopefully it goes well again.